I was born in 1969 into a Uighur family in Atush City, Kizilsu Kirghiz Autonomous Prefecture, Xinjiang Uighur Autonomous Region (XUAR). I grew up in a government employee residential compound where Uighurs and Hans lived together. My grandfather’s generation was illiterate, but my father was among the first generation of educated Uighurs brought up in New China. At the end of the 1950s, after my father graduated from middle school, he was sent to the interior of China for college. He studied at the Central University for Nationalities [now Minzu University], Beijing Normal University, and Lanzhou Railway Institute. After graduation, he worked at the Southern Xinjiang People’s Liberation Army (PLA) military zone, and then as a civilian. In 1971, at the age of 28, my father died tragically during the Cultural Revolution. I was two, and my little brother was only 11 months old. It was my mother who raised the four of us, my brothers and me, while doing auto repair work in Atush. Today, most of my father’s colleagues have become XUAR-level cadres. The older generation has kept silent about the past, and I have not understood the complicated politics of the time. As a result, while we are proud of our father, I don’t really know what kind of a person he was and how he died. In 1980, my eldest brother joined the army at age 15, but he soon left the army and pursued studies in universities in Shanghai, Urumqi, Dalian, and Beijing. As a cadre, he served as Secretary of the Atush Communist Youth League, Chief of the Personnel Office of the Organization Department of Kizilsu Kirghiz Autonomous Prefecture, Secretary of the Kizilsu Kirghiz Prefecture Communist Youth League, Chief of the Kizilsu Kirghiz Prefecture Administrative Bureau, and Chief of the Civil Affairs Bureau of the Kizilsu Kirghiz Prefecture. Currently he is the Communist Party Secretary of the Transportation Bureau of Kizilsu Kirghiz Prefecture and a member of the Kizilsu Kirghiz People’s Political Consultative Conference (CPPCC). My second older brother has worked in the public security system for many years now. He was once the youngest captain of the criminal investigation squad [in the prefecture], and now he is the Secretary of the Disciplinary Inspection Committee of the Kizilsu Kirghiz Prefecture Public Security Bureau, as well as a member of the bureau’s CCP committee. Aside from my two brothers, my sister-in-law (the wife of my second older brother) and my brothers’children also work in the public security system. To a degree, my family is actually a family in the public security system, although, because of me, they have all been implicated in recent years. In 1985, I was admitted at age 16 to study in the interior of China. I left my hometown to undertake pre-undergraduate studies at Minzu University, undergraduate studies in the Geography Department of Northeast Normal University, and graduate study for a master’s degree at Minzu University’s Institute of Economic Research. My academic career was deeply influenced by Professors Shi Zheng Yi, Chen Cai, and Zhang Kewu. I will never in my life forget the lessons that they imparted upon me as a Uighur youth, nor will I forget their genuine interest in, and concerns about, Xinjiang and the Uighur society, as well as their academic integrity. Around 1994, I developed an intense interest in the economic and social issues Xinjiang faces. In addition to publishing articles in Guangming Daily《光明日报》, Economic Information Daily《经济参考报》and Western Development Paper《西部发展报》, I also published over 20 articles in academic periodicals including the Journal of Minzu University; the Journal of Research on Education for Ethnic Minorities; Tribune of Social Sciences in Xinjiang; National Economy; and the Journal of Kashgar Teachers College. As early as in 1994, I proposed setting up a special economic zone in Kashgar in southern Xinjiang. In order to expand the horizons of my professional research, I have been studying English. I have also taught myself basic Korean, Japanese, Urdu and Russian, and can conduct simple conversation and access information in these languages. Outside of my work, in my spare time I engaged in business and had had pretty good results in the stock market and joint venture projects. For a time, when I was restricted from teaching, my friends even suggested that I make a complete switch and become a businessman. However, having witnessed a great number of cases of ethnic conflict and killing, political unrest, and failed social transformation during my extensive travels throughout Central Asia, Russia, and South Asia, my desire grew stronger and stronger to completely devote my energies to researching Xinjiang and Central Asian issues, so that tragedies abroad won’t take place in China. To this end, I have personally funded and conducted large-scale social surveys. I simultaneously took time to study sociology, ethnology, and geopolitics by taking classes or self-instruction. Such endeavors have expanded my horizons beyond economics, and provided me with other perspectives and analytical tools. Aside from studying failed cases from the former Soviet Union as well as Eastern Europe, I have also looked at some successful cases to see how developed countries such as America as well as those in Europe have handled and resolved ethnic issues and social issues. My hope is that such examinations will provide abundant lessons for endeavors undertaken in China. I love my mother deeply, who suffered great hardships in raising me. I love my still impoverished and long suffering ethnic group. I love this land which has nurtured me. I earnestly hope my homeland can become as prosperous and developed as the interior of China. I worry about my homeland and my country falling into turmoil and division. I hope that China, having endured many misfortunes, will become a great nation of harmonious interethnic coexistence and develop a splendid civilization. I will devote myself to Xinjiang’s social, economic and cultural development, to the interethnic understanding, and to finding the way to achieve harmonious ethnic coexistence amidst the social transformation today. These are my ideals and personal objectives, and the choices I have made have their roots in my family’s history; my upbringing; my mother’s teachings; and my education as well as personal experiences. 2. I am an academic dedicated to researching Xinjiang issues and Central Asian sociology, economics, and geopolitics. Although some people today continue to describe me as a political figure, or hope that I will become one, from the start I have maintained that I am only a scholar, and harbor neither the intention nor the desire to be politicized. Outside of my scholarship, I wish to be known solely as an emissary and a conduit helping to make connections and promoting ethnic exchange and communication. Since 1994, due to my frequent and blunt criticism of failures of the local government in Xinjiang, [authorities have] constantly interfered with my teaching. Since 1999, I have had no opportunities to publish any articles. From 1999-2003, I was barred from teaching at Minzu University where I had been employed. In recent years, following my growing research and investigation on Xinjiang’s problems, and after I had set up the Chinese language “Uighur Online”website, pressure has mounted not only on my professional life, but also on my relatives in Xinjiang. They have often bitterly entreated me in the hope that I will speak out less, mind my own business, and focus on making money. Meanwhile, I can see that Xinjiang’s ethnic problems are increasingly grave and that interethnic hatred has escalated. I know very well that there are not many people from our ethnic group like me, who have enjoyed a quality education and have had [ample] opportunities and experiences. Similarly, few people in China possess the same natural advantages as I do with regard to Xinjiang issues and Central Asian issues. In this field, few scholars possess great insights or a sense of responsibility. Yet, the challenges facing Chinese society are so arduous that I cannot rightly dismiss the responsibility to pursue what I believe is the most meaningful career. However, the call of duty implicates my family, which causes me great suffering. After the tragedy on July 5, 2009, the world suddenly paid attention to Xinjiang issues. I too attracted widespread attention and was inevitably treated as a political figure. I do not reject any person or group’s interest in Xinjiang issues, but I have always endeavored to avoid being treated as a political symbol in any way, even when it is well intentioned. It is my belief that I will not be doing a service to my ethnic group and my country unless I remain a scholar—a ‘clean’one at that —and use my free time to help others and serve the public interest. Precisely because of this strong belief, since July 5th, 2009 I have doggedly refused to take a single cent from foreign organizations, whether diplomatic entities or NGOs, when I encountered financial difficulties resulting from external pressure. Even during business dealings, I was unwilling to make any money through foreign connections. I could have sat at home and made money from my political and economic contacts in Central Asia, Europe, and America. If I were a Han, maybe I could have profited this way, but as someone who has been under suspicion, I have to maintain even stricter standards for myself, bearing more pressure and facing more trials than Han intellectuals could possibly imagine. Because of the sensitive nature of ethnic issues, for a long time there has existed not only social divisions between Han and Uighur people, but also a lack of regular communication between Han and Uighur intellectuals. This division, as well as mutual suspicions, have worsened the ethnic situation. Yet, amazingly, there have been almost no public discussions about it, and the atmosphere around it is both plain strange and also terrifying. As a result, I founded the “Uighur Online”website at the end of 2005, to provide Uighurs and Hans with a platform for discussion and exchange. Of course, I knew that there would be an intense clash of opinions, but I believe that confronting differences is not frightening. What is truly frightening are silenced suspicions and hatred. 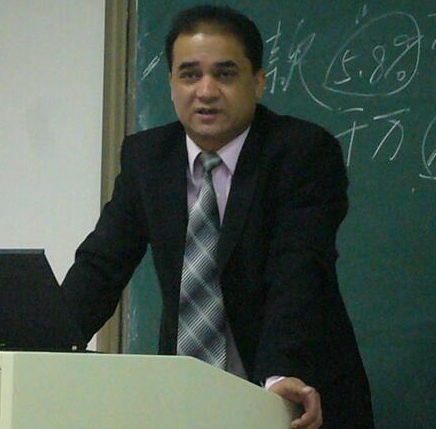 After founding “Uighur Online,”I began to make an effort to interact with Han intellectuals in order to bring Xinjiang issues to their attention, thus allowing them to contribute their valuable perspectives and experiences to the discussion, and to introduce them to Uighur culture and society. The July 5th tragedy—and Xinjiang’s ethnic relations in its aftermath—made it clear to me that ethnic hatred and suspicion had built up alarmingly. To thaw that hatred and suspicion, I came up with the idea of a grassroots “National Harmony Day”(or “National Reconciliation Day”), held on July 5th, to commemorate the tragedy. It would take advantage of the summer holiday and allow [groups of] two families of different ethnicities to send their children to live in the other’s home. This would hopefully build interethnic emotional ties and friendship and also serve to cultivate a sense of inclusiveness, understanding, and respect for different cultures. But the idea was aborted due to various external factors. From the beginning, it was a rational idea born out of my education and training that ethnic relations should be built through reasonable, patient, tolerant, and moderate approaches that respect history and reality and focus on the future. As I have practiced it over time, such an attitude has grown to be a natural feeling of mine. As a university professor, I have the strong desire to share my views, hopes, and methodology with my students. Unlike a lot of teachers, I diligently prepare handouts and lesson plans for each class, and for a long time I have offered open and voluntary classes on Xinjiang issues on Saturdays. I encouraged more Uighur students to pursue studies in sociology, law, economics, political science, anthropology, and other fields so that in making career choices they will be able to combine their personal goals with the progress of their ethnic group as well as their country. These subjects provide a systematic methodology, and can transform emotional energy and visceral enthusiasm for ethnic issues into a rational and scientific approach. The cultivation of such an approach is certainly rare among the Uighurs, and therefore precious; but even in China as a whole, there is far from enough of it. 3. I have maintained a long-term and sustained interest in Xinjiang and Central Asian issues. With regard to Xinjiang, this entails social, economic and cultural development; interethnic interaction; as well as the balance between sovereignty, unity, and local autonomy under China’s current conditions in an era of transformation. People in Xinjiang today generally look back nostalgically at ethnic relations during the planned economy era [1949-1976] as well as Hu Yaobang and Song Hanliang era [1976-1989]. During the planned economy era, the government distributed resources equally and fairly, creating a positive sense of equality among ethnic groups. In addition, at that time the population was restricted in mobility and there were few opportunities for group comparisons that could result in a sense of inequality. During the Hu Yaobang and Song Hanliang era, the political climate was relaxed. On the surface more people seemed to be voicing discontent publicly, but people trusted each other and felt least suppressed, and social synergy was the strongest. At the same time, these serious social problems have become a forbidden subject for study, creating a discursive void. Few dare to touch upon these problems directly, let alone conduct systematic social investigations and analyses in search for solutions. On the one hand, the Uighurs’social problems lead to increasing dissatisfaction and distrust of the government and of Han people; on the other, discriminatory ideas against the Uighur people among members of Han society—especially in the interior of China—grow deeper. As a Uighur intellectual, I strongly sense that the great rift of distrust between the Uighur and Han societies is getting worse each day, especially within the younger generation. Unemployment and discrimination along ethnic lines have caused widespread animosity. The discord did not explode and dissipate along with the July 5 incident and during subsequent social interactions. Instead, it has started to build up once again. The situation is getting gradually worse. Yet, fewer and fewer people dare to speak out. Since 1997, the primary government objective in the region has been to combat the “three evil forces”[terrorism, separatism and religious extremism]. Its indirect effect is that Uighur cadres and intellectuals feel strongly distrusted and the political atmosphere is oppressive. As a Uighur scholar living in Beijing, where the legal environment is relatively better, I have a duty—one which I cannot rightly dismiss—to focus my attention on Xinjiang’s problems. This has always required not only knowledge and training, but above all courage. The outbreak of the July 5 unrest in 2009 and, before it, the March 14 incident in Lhasa, Tibet, in 2008, clearly reminds us that as China is undergoing rapid changes, it is an extremely urgent task to explore how to achieve ethnic harmony. China is accustomed to the use of political solutions, especially those employing the use of political indoctrination. Rarely do such discussions seek to improve laws and regulations, as well as the art of politics, to foster an environment suitable for ethnic harmony. Virtually no one in China works on the technical aspect of harmonious ethnic relations, even the awareness of it is absent. No good political intentions or political desires can be divorced from the meticulous and thorough technical designs that support them. In China especially, the government is accustomed to large-scale government-directed organization and mobilization of social resources without regard for the costs, rather than long-term and patient technical arrangements. Looking at the examples of multiethnic diversity in Malaysia and Singapore, a technically meticulous, evenhanded management of ethnic interests produces ethnic tolerance and harmonious relations. That’s why I have always believed in the importance of my own endeavors. As ethnic issues in China become more sensitive and pressing, more and more studies examine China’s ethnic policies from the perspective of combating separatism, drawing lessons from countries with failed ethnic policies. Yet, most of these studies have a strongly Han-centered ideology and follow the typical path of how to establish control. Consequently, they actually defend and endorse the approach of failed local government ethnic policies [even when they seem to be criticizing them]. In foreign countries, there are many cases whereby states successfully resolved or mitigated ethnic conflicts and defused crises caused by ethnic division. However, these aforementioned Chinese studies have taken none of these successes into consideration. I am deeply worried about this academic tendency, which misleads policymakers. My research on Central Asia reflects my own personal interests and my connection to the region. As a natural extension of Xinjiang issues, I must pay attention to the social, political, economic, and cultural trends in Central Asian countries: not only do Central Asia and Xinjiang share vast borders, but they also belong to the same linguistic, cultural, and religious family. Situated along a multiethnic border, Xinjiang can be affected by a slight change in the greater region. Furthermore, from a geostrategic perspective, China must research how to effectively exert influence in the political, economic and cultural spheres of Central Asia, not only so that it can benefit from an enhanced regional security environment, but also so that both China and Central Asia can build stronger, mutually beneficial relations. This is another aspect of my interests in the region. I have continued to gain knowledge because of my language skills, and I have established wide contacts in local governments and business circles of the region through my travels. On top of that, I also have had successful business experiences. These are all areas in which I differ from Chinese researchers on Central Asian. It is easier for me to obtain local approval when exploring Central Asian problems because of my background and also because of my access to resources and information. With these advantages, I have been able to successfully facilitate investment by many Han businessmen into Central Asia, and I have also served as a middleman to assist state-owned enterprises like PetroChina and SinoPec, resolving all sorts of troubles and problems, so that they can expand into local markets there. I deeply believe that the question of how China exerts influence in Central Asia has neither been analyzed carefully nor considered as a whole. China should play a more active and effective role in Central Asia. 4. “Uighur Online”is a website I personally founded in order for all ethnic groups in China—as well as the world—to understand Xinjiang and the Uighurs. Conversely, the website seeks to allow ethnic groups living in Xinjiang to understand the world. Thus it promotes mutual understanding as well as dialogue among ethnic communities. It is managed to prevent any pro-independence, separatist, or irresponsible inflammatory postings, and it does not post anything subversive. I founded “Uighur Online”because I discovered that many websites and search portals contained a large amount of posts that incited hatred and attacked the Uighur community. As a result, I strongly felt that deep division existed between the Uighur and Han peoples due to a lack of mutual understanding. But there was no platform for communication and dialogue. Han and Uighur netizens have been talking past each other, with no opportunities to exchange views one-on-one and listen meaningfully to each other. Moreover, many people in Chinese society discuss the Uighur people, but not many people possess a basic knowledge of Uighur society. In a multi-ethnic society, such circumstances are undesirable. Since no one else was doing it, I thought I would fill this gap. From left to right: Ilham, wife and Woeser, seven days before Ilham’s arrest. Photo from the Tibetan writer Woeser’s Twitter account @degewa. Uighur Online is managed to prevent any pro-independence, separatist, or irresponsible inflammatory postings, and it does not post subversive materials. However, it does not forbid posts that expose social ills in Xinjiang or elsewhere, so long as they show good intentions and the content is authentic. As expected, nationalistic Hans and Uighurs have had heated arguments on the forum. Yet, I have always maintained that one should not fear differences of opinion and opposition, but rather, [fear only] not having opportunities for exchange. As long as there is exchange, there will be consensus. In reality, although some Han netizens have criticized my comments as drastic or unjust, I have also earned the respect of many of them: I don’t agree with your views, but I understand that you are well-meaning. “Uighur Online”is both a platform for exchanging views as well as a platform to perform acts of public service. In recent years, criminals have abducted, lured, or kidnapped Uighur children and brought them to the interior of China, where their pickpocketing is increasingly a serious social problem. It disturbs local people’s sense of security and also damages the reputation of the entire ethnic community. Although just about everyone knows about this social issue and it has drawn growing attention, not a single media outlet has dared to discuss it because it is deemed too sensitive. No organization or agency has dared to make an attempt to systematically address the problem. Each child is a treasure of the nation and [represents] the future of society, regardless of his or her ethnicity. For this reason, I set up a platform on “Uighur Online”to aid vagrant Uighur children, to actively reach out to local civic anti-crime organizations, and to offer aid and legal support to vagrant children. This led to a Phoenix Weekly report about the matter, which then led the Xinjiang government to begin putting assistance for vagrant children on its official agenda. In addition, I made “Uighur Online”a tool to influence and solicit Uighurs’ideas about society. In Uighur society today, there are virtually no rational, moderate and constructive voices that grapple with the real problems of the Uighur society, free of [China’s] official, orthodox, and constrained propaganda. From overseas there are no lack of provocative and subversive statements, which don’t solve any real problems. As Xinjiang faces the danger of escalating ethnic conflicts, and discussions of ethnic problems tend to be radical, I believe that one of our most important tasks and missions is for us to use rational and constructive voices to compete against more extreme ones in the market place of ideas, moving social sentiments toward a more positive direction. Because “Uighur Online”is independent and unique in Uighur society, it has gradually gained recognition and influence, and its ongoing debates have allowed more people to recognize the role it plays. However, over the course of running the website, I have been under enormous pressure. The website was repeatedly forced to close or fell victim to unwarranted attacks. I have been regularly summoned and warned [by the government] but continued it anyway, believing that “Uighur Online”is of irreplaceable value and that I am doing the right thing. As a Uighur intellectual, I naturally have deep feelings for my ethnic group, and I feel uneasy about its impoverishment and its many sufferings attributable to historical and circumstantial factors. I have equally deep feelings for my country, and, having traveled to dozens of other countries, I have come to the conclusion that national pride runs deep within my veins. The pain and pride experienced by both my ethnic group and also my countrymen are my own pain and my own pride. Today in Xinjiang and elsewhere, we are witnessing a unique period where ethnic issues are of unprecedented importance and difficulty. Whether rationally or emotionally, I cannot accept any part of the nation being separated. With regard to ethnic issues, I do not oppose the natural fusing of ethnic groups, because it reflects a natural as well as a social law. Historically, both the Han and Uighur ethnicities are products of multiethnic mingling. However, I do oppose a false and calculated ethnic harmony. Use of administrative means to keep ethnic groups together is, in essence, a use of force that breeds division, whereas tolerance as a means to encourage diversity will lead to mutual harmony and unity. We can solve ethnic problems only by exploring ethnic autonomy and making China a multi-ethnic, multicultural, and attractive country. In terms of governance in China today, our multiethnic and multicultural reality has complicated the issues and problems of this era of social transformation. Yet, for culture and creativity, this diversity is an invaluable source of wealth benefiting all ethnic groups. Whether looking vertically at Chinese history or horizontally at the world today, it’s clear that the greater a country’s cultural diversity and tolerance, the greater its creativity. Any thinking that doggedly stresses a particular group’s cultural uniqueness and superiority, thus making it non-inclusive, is closed-minded and a thing of the past. It will inevitably kill the culture it means to enshrine and protect. In China’s Constitution, provisions governing ethnic autonomy provide a good framework for coexistence and the development of a multiethnic culture. But in practice, we need to explore how to better implement it through laws and regulations. We should take the initiative to learn from the successful experiences of other countries to fashion a suitable model for China. I firmly believe that as long as we have the wisdom and vision for the future, as well as the courage to face reality head-on, China will be able to find a path to ethnic autonomy that achieves an ideal balance between the integrity of a unified nation and ethnic autonomy. Ilham Tohti Says, September 16, 2014. A 2009 Interview with Ilham Tohti following the “July 5th” violent clash in Urumqi, with Chinese and English subtitles. 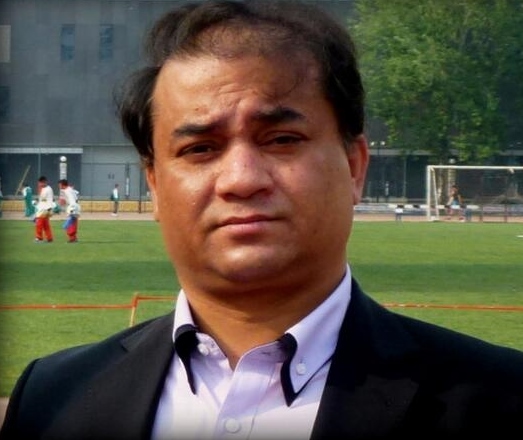 Ilham Tohti should get the Nobel peace prize, not life in prison, by Teng Biao, September 24, 2014. 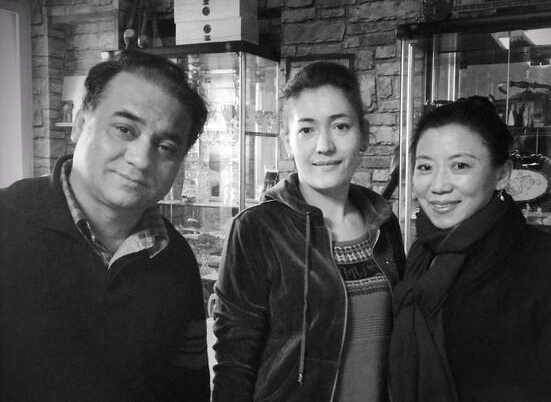 China Change’s Ilham button collects media information about Ilham Tohti in both English and Chinese. By China Change in Academic Freedom, Interviews, Rule of Law, Uighurs on April 6, 2014 .